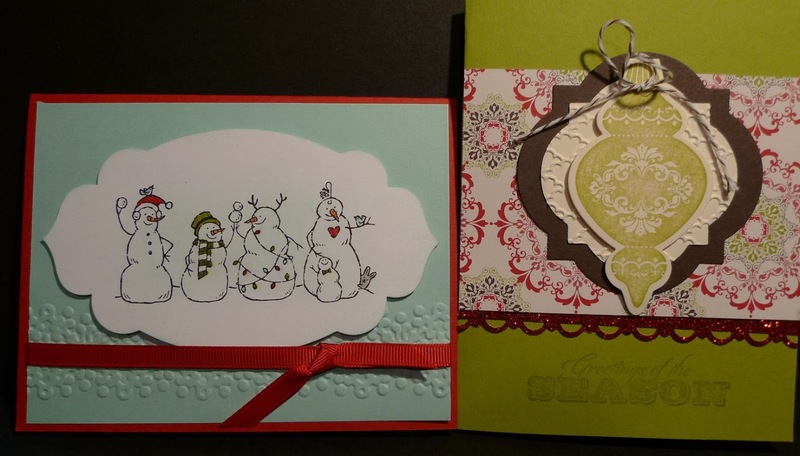 Karina's Kreations: Card Buffet Cards! I drove my daughter to a volleyball camp in the north end on Saturday and had three hours to kill. 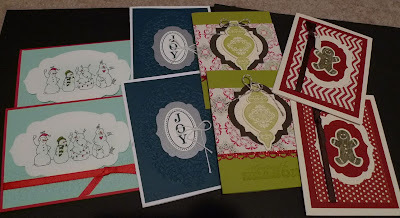 I'm not very good at checking face book but I took a peak and found out my friend Crystal was holding a card buffet and I was only 5 minutes from her house. Look at all the cute cards I made!!!! What a treat it was to make cards I haven't designed! So fun!!! Thanks Crystal for letting me come at the last minute.